A ground-breaking stem cell treatment for a rare eye condition that can lead to blindness was rewarded with the 2016 Prix Galien's Orphan Product Award earlier this week in London. Chiesi's Holoclar was the first stem cell treatment to be approved in Europe when it was licensed in 2015 to treat moderate-to-severe forms of limbal stem cell deficiency (LSCD). Professor Sir Michael Rawlins, chair of the UK Prix Galien judges, said: “LSCD may affect one or both eyes; left untreated it results in chronic pain, photophobia, inflammation, corneal neovascularisation and the reduction or complete loss of vision. Chiesi's UK managing director Tom Delahoyde said: “Chiesi is extremely pleased that Holoclar has been recognised as an innovative orphan product by such a prestigious award. Also rewarded at the bi-annual ceremony were Novartis with the Innovative Product Award and Astellas with The Real World Evidence Award. Novartis' Entresto caught the judges' attention as the first new treatment for heart failure in 15 years, and one that offers a unique approach to the treatment. 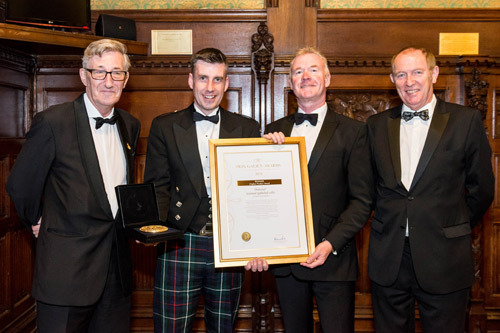 It marks the fourth UK Prix Galien for the company since 2002 and its second successive Innovative Product Award, after winning the category in 2014 with Bexsero. Meanwhile, the inaugural Real World Data Award went to Astellas for its first-in-class antibiotic Dificlir. Specifically the judges were impressed by a unique series of local service evaluations on its NHS impact conducted in 2013-14. “Results indicated the very significant contribution that Dificlir's use can make to tackling the major public health problems of antimicrobial resistance through targeted antibiotic therapy and infection control,” said Professor Sir Michael. Commenting on the results as a whole Karen Westaway, chief executive of ValueBase, the new owners of Prix Galien's UK franchise, said: “UK Prix Galien has once again showed the depth and diversity of medical innovation in UK life sciences.